The author of this site is not responsible for any contents linked or referred to from his pages - unless he has full knowlegde of illegal contents and would be able to prevent the visitors of his site from viewing those pages. If any damage occurs by the use of information presented there, only the author of the respective pages might be liable, not the one who has linked to these pages. Furthermore the author is not liable for any postings or messages published by users of discussion boards, guestbooks or mailinglists provided on his page. If you do not agree to be bound by these terms and conditions, you may not use the links on our website.. Alternative Health News Online: A helpful alternative health-news site. Botanical.com: Home of the electronic version of "A Modern Herbal" by Maud Grieve. MirianaFlowers.co.uk: Homepage of Miriana (FloraCura). 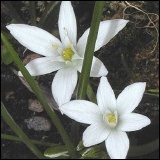 Bach Flower Essences: Online shop for original Miriana Bach flower remedies.